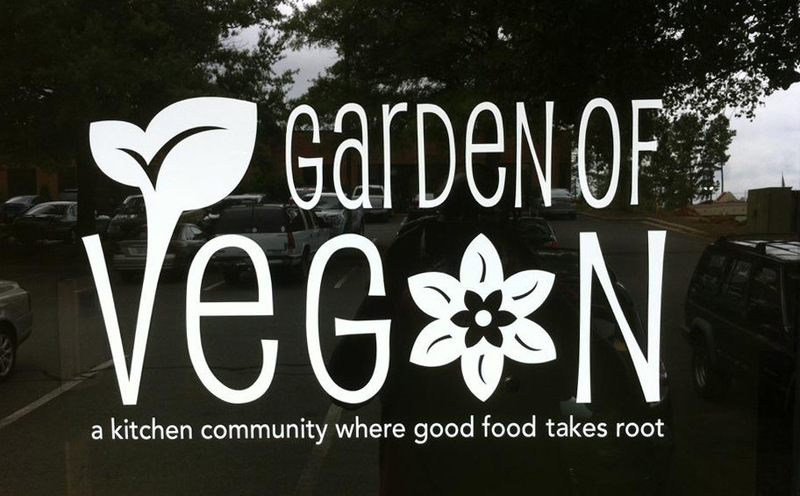 2012 has been a milestone year for Charlotte vegans and vegetarians! From Charlotte’s first Vegfest … to the opening of Bean, Charlotte’s first sit-down vegan restaurant and all-vegan bar … to the launch of Chelly’s Cakes-n-Pastries, it’s been quite a year! 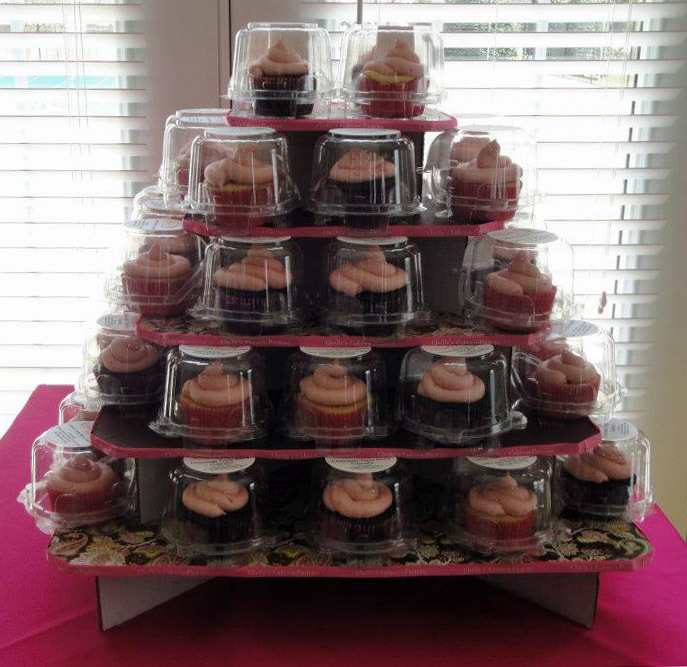 Chelly’s Cakes-n-Pastries has particularly taken the area by storm. 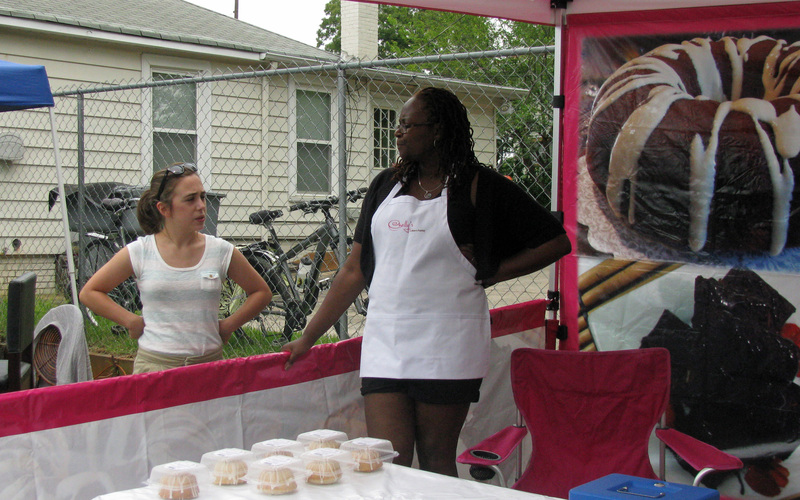 The wholesale vegan bakery’s Launch Party was in February (alongside the NC premiere of Get Vegucated). Contracts were quickly signed with the Charlotte area’s Healthy Home Markets, Eco-Licious, Berrybrook Farm, and Madison’s Coffee House, and Chelly soon gained a devoted following. Chelly’s Cakes-n-Pastries was also THE uncontested smash hit at Vegfest, with the sweet treats selling out within the first few hours! What’s the deal with Chelly’s Cakes-n-Pastries? Well, for starters, the cakes and pastries are completely vegan – no eggs, dairy, honey, or gelatin. They are made with evaporated cane juice, not processed white sugar (which may have been processed with bone char). They’re made from free trade ingredients, and organic ingredients whenever possible – Chelly estimates her sweet treats are between 65 – 95% organic. Additionally, packaging is sourced locally. Chelly has veganized almost every dessert imaginable – from carrot cakes and lemon pound cakes, to chai latte cupcakes and banana nut muffins, to dark chocolate peanut butter cookies and espresso fudge brownies. I recently sat down to talk to Michelle Fritts-Watson (“Chelly”). Chelly is a tall, strikingly attractive woman with a calm, peaceful vibe. I was expecting to hear that she’d been one of those child cooking prodigies who’d loved baking from an early age. Who’d gone to culinary school, and had probably spent years working in restaurants or bakeries. I was expecting to hear it was a long-held dream of hers to one day open her own vegan bakery. Surprisingly, NONE of that was true! Chelly’s story is, instead, an inspiring reminder that life doesn’t always take you where you mean to go – it takes you where you’re meant to be. “I didn’t cook much growing up – AT ALL, really,” Chelly remembers. “My mom was a stay-at-home mom and she LOVED to cook. She cooked EVERYTHING – breakfast, lunch, dinner. She also loved to bake, and at holidays she would bake everyone’s favorite dessert.” Chelly also had several much older siblings who’d get pulled into kitchen duties if needed. Chelly never felt left out – instead, she viewed the reprieve from cooking as a chance to spend more time doing what she loved most – reading. Thoughts of culinary school never entered her head. Nor did she have any desire to be an entrepreneur or a saleswoman. She instead went to NC A&T in Greensboro, where she studied to become an anthropologist. While there, she became friends with another student who talked about animal cruelty and the hazards of eating meat. Chelly didn’t become a complete vegetarian at that time, but she did give up beef and pork. Chelly got her undergrad’s degree in Sociology/Anthropology and her grad degree in Anthropology. As expected, Chelly loved being an anthropologist and had a successful career. As a young single woman who ate limited meat, she began cooking for herself and discovered she enjoyed it. Eventually she gave up other forms of meat as well and became a vegetarian. Shortly after Chelly got married, the couple decided to go vegan. Chelly knew her husband had a sweet tooth and was worried he’d miss his sweet treats. 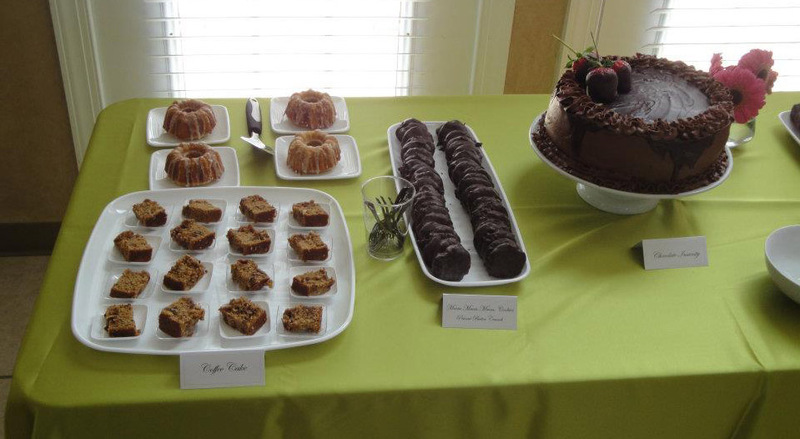 So … Chelly started creating her first vegan cakes-n-pastries! What made you decide to start your vegan bakery in Charlotte, NC? Charlotte, for a city its size, has been notoriously unfriendly to vegans/vegetarians. Some might say you were either very ballsy or very naive. Or maybe you had done some careful research and realized Charlotte was long overdue for vegan change? Tragically, six months after starting construction on a house in Indian Trail, Chelly’s mother died. Her mother’s death made Chelly question her work values. “I want three things in my work,” Chelly says, ticking them off on her fingers. “I want to do work that matters. I want to give back to the community. And it must be a creative outlet for me. I feel very off balance if one of the three doesn’t exist.” More and more, it seemed liked Chelly’s vegan baked goods might be the best way to accomplish this. And so Chelly’s Cakes-n-Pastries was born. What’s next for Chelly’s Cakes-n-Pastries? What’s next? Right now, the possibilities seem unlimited. Recently, Chelly moved to a bigger kitchen – sharing space with Nourish, (a vegan meal delivery service), and Viva Raw (vegan juices). The three vegan upstarts decided to name their new kitchen The Garden of Vegan. Whole Foods, opening in the SouthPark area August 29th, will be the latest to carry Chelly’s treats, and several more major contracts are in the works. 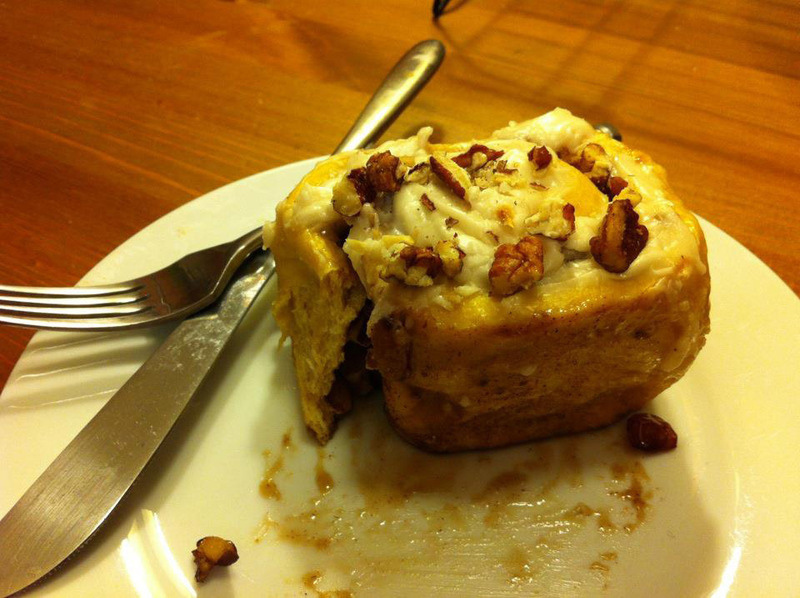 This fall, Chelly is concentrating on expanding her cinnamon bun line – a perfect matchup for cooler fall weather. She’ll have not only her popular sweet potato cinnamon bun but also the traditional cinnamon bun, caramel apple bun, and orange marmalade bun. Yum. Fall has never looked so delicious.